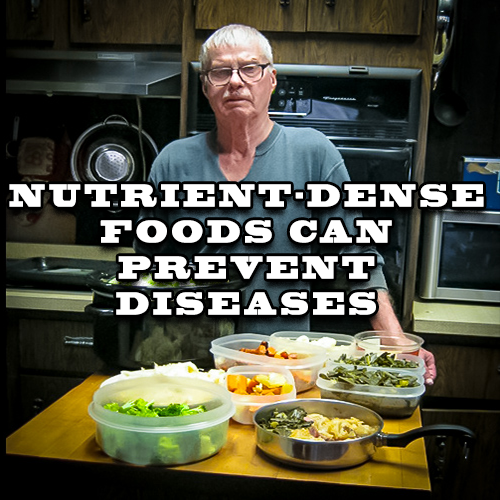 Nutrient-dense Foods can Prevent Diseases. You need to include nutrient-dense foods that come from fresh foods into your daily diet. The modern medical world is just coming to the understanding that the world of tiny things, such as trace elements, and the process of nutrient-blending which is important to our mental and physical health. The good news is that we don’t even need to think about this tiny world. We only need to eat a wide variety of nutrient dense foods. They are in the local supermarkets and farms. I read an interesting piece in the Youngstown Vindicator (4/11/17, P. C.1) Think Before You Eat. Certain nutrients found in our food can help prevent Alzheimer’s disease, diabetes, cardiovascular disease and other Chronic illnesses. WOW! They should have asked my Daddy! He told me about getting minerals from the soil, and making sure to let the chickens get into the grass. Also he told me why the Federal government mandated that table salt be Iodized. Most of all, it was meant to prevent Thyroid Disease. Do I Feed My Animals Better than Myself? Long ago, farmers taught me to watch what I feed the horses, cows, pigs and chickens. They also told me to watch what comes out the other end. The farmer’s wife told me that people are only animals, because they too need good food. We put out mineralized salt-blocks to get trace elements into the cows and horses and we sometimes need to do the same for ourselves. 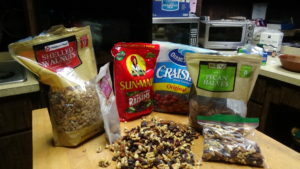 While the Corporate Food Chemists do a magnificent job of getting delicious, appealing, good smelling food to our tables. So much is lost and much is added, this is bad news. Milk and bread are processed and then Iron, B. vitamins, folic acid and other nutrients are added back. My older brother Charles, taught me, back in 1948, that the vitamins were made from COAL TAR, and our bodies can’t use them. I only know that my brother Charles wouldn’t lie and he was bigger and meaner. And this is only the beginning! I will be publishing many more papers explaining how I have stayed healthy and still work hard at 81-years of age. What works for me might not be right for others, but I only want to plant the seeds of thought.